The Reel em In Lobster Potty slot from Barcrest has 3 different lobster pots, bronze, silver and gold. 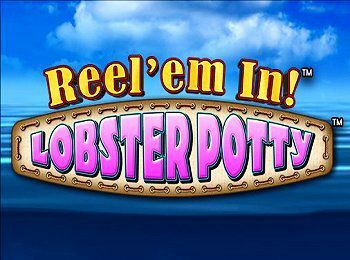 The Reel ‘Em In Bonus or Lobster Potty will be awarded when 5 reels turns to sand. During the Reel ‘Em In bonus between 1 and 5 reels will be activated. All active reels spin together, and stop from left to right. The values of the fish are totaled and added to the small meter beneath the reel. One or more fish can appear on an active reel When a boot is revealed on an active reel, the reel will be closed The Bonus will continue until all the active reels have been closed. At which point the total value of all the small meters are awarded. During the Reel ‘em in Bonus, the reels contain Fishes, Blanks and Boot symbols only.